Rasbian is based on Debian, which attaches great importance to stable and secure operation. Especially because Raspbian is extremely stable, this Linux distribution is particularly suitable if you want to run Raspberry Pi as a server. Unfortunately, Raspbian already brings so many packages that you do not need. If you want to run Raspberry Pi as a server, you can not help worrying about uninstalling a large number of packages at first. This applies in particular to the software packages that are supplied with the graphical window interface and are useless in server operation. Uninstall all packages related to the graphical window interface. 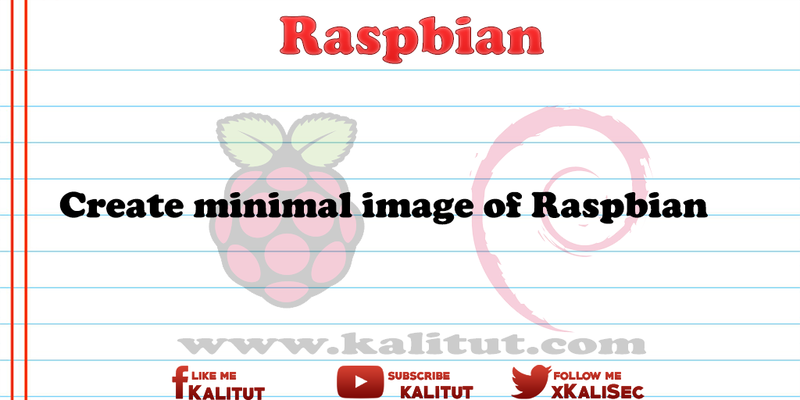 The following solution provides a way to disconnect from unnecessary packages of the standard Raspbian distribution. For example, if you want to operate Raspberry Pi as a server. For a minimal Raspbian, there are some more online tutorials on how to purge a Raspbian for unused packages. Many of them are very extensive and thorough. But also associated with more time. This solution is a suggestion that does not do anything but removes most of it so that a Raspbian also fits on a 2GB SD memory card. Note: It is recommended to clean up unnecessary packages before performing the server configurations. If you want to do it, if you have already set up everything, then you can shoot a painstaking and expensive configuration. First we check the current memory usage of the SD memory card. Then we will arrange for an update of the package sources. Then we start with the uninstallation of packages. Once these packages have been removed, there are still some packages left, which are now superfluous. We also remove these "corpses". Finally, we recommend a restart of Raspberry Pi. After the restart, we check the memory usage of the SD memory card. After that you should come in any case under 2 GB. Removing the swap service can save more space. If the memory usage is still too large, you have to try to uninstall other packages or look for alternatives that already offer ready-made images for download.